Soylent made such a big deal of being a “tech company”, and boasted about their overdesigned web infrastructure for a business that did two transactions a minute. What they didn’t have is advanced technology on the production side. They write about “sending samples out” to external labs. It’s not like they had an automated lab constantly sampling their production line and posting the results to the web. There are production line testing machines for biological contamination and for elemental analysis. About 80% of food plants have in-house testing facilities. What’s Soylent got? Our experience at MealSquares has been that these external testing services are entirely oriented around the food industries needs for ‘check-offs’ rather than any concern about whether food is good or even safe for humans. I repeatedly had food science advisors confuesedly tell me ‘but it’s generally recognized as safe!’ when I raised concerns about newly released designer cocktails of preservatives or flavoring agents (MealSquares still has neither). There’s also a mini-industry around ‘clean labeling’ which in practice means food additive companies finding every loophole in the FDA regulations to be able to refer to some crazy concoction as just ‘modified starch’ and similar on the label. The real rabbit hole is ‘processing aids’ which don’t even need to go on the label but wind up in your food (and our ingredients have to be tested for). 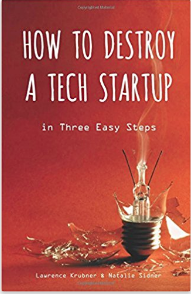 One of the biggest flaws of the tech industry is the belief that being a tech expert is enough to disrupt other industries in which they don’t have any expertise. Sometimes they get lucky and it works despite something like Uber’s or Airbnb’s total ignorance of the law. Sometimes it fails like with numerous cryptocurrency companies relearning why the finance industry has so many dang regulations. Seems like Soylent is falling in the latter camp. This kind of writing is insufferable. Soylent has nine grams of sugar per serving. It is sugary junk. Isn’t it supposed to be a meal or something? Nine grams isn’t that much compared to e.g. a muffin (~30 g). A muffin is not a meal though. A juicy steak with a side of grilled vegetables has ~0g sugar. but I’ll never understand that feeling of “ugh, I need to eat, guess I’ll have a Soylent”. It sounds like you have either more free time or a more a steady work schedule then their target user. Somehow this seems like an American thing or maybe people in other places make less of a spectacle of it? Always having too little time, always working and being proud to plan every minute of every day (recently Marissa Mayer and Bill Gates and someone else from the US said in interviews they have every minute of every day planned; sounds like pure hell but he) seems very American. This Soylent thing fits in there. Why would someone want to work that much unless you want to become a billionaire which, again, seems a drive in media coming from the US? Maybe it is just the media I read though, but here there is no vibe like that and when I meet (very successful/rich) entrepreneurs in Asia/Aus/EU they seem to be always eating elaborately so they do not give of that vibe either. Again the press distorts but posts here on HN and a thing like Soylent support that press. Particularly when you are inundated in valley slave culture, being busy all the time is a sign of your importance – you’re busy disrupting the market getting ready to IPO, and if you have 10 spare minutes a day in which to regain some semblance of health or sanity, clearly you aren’t a 10x developer. It’s absolute hogwash and sadly a good number of brilliant young engineers are going to burn out, suffer health consequences, quit the field, etc. over it.